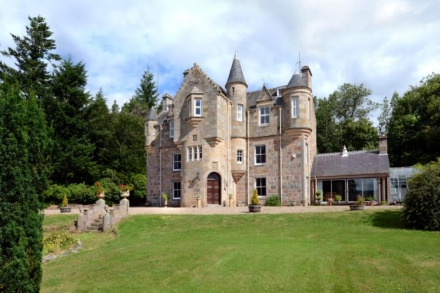 The grandeur and style of a Scottish Baronial mansion is something that most of us would love to experience and now a truly remarkable property for sale through CKD Galbraith offers buyers that very opportunity. 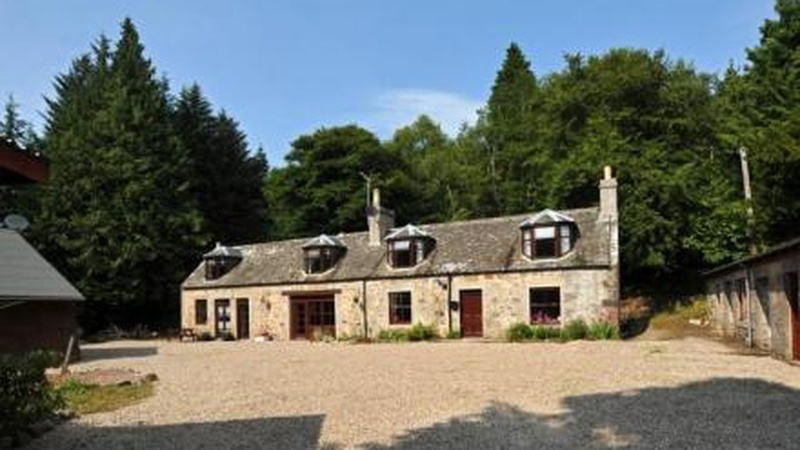 Auchinroath House, which sits in an exquisite position in the Glen of Rothes in Moray, is a romantic and delightful country house that combines exceptional modern living and breathtaking views with a notable and charming history. Believed to date back to the early 1700s, the property was originally a more modest farmhouse until a substantial extension was added in 1900 in the style of a Scots Baronial Mansion, giving the house particularly fine architectural features including crow stepped gables, corbelled turrets with conical roofs and fish scale' slating. 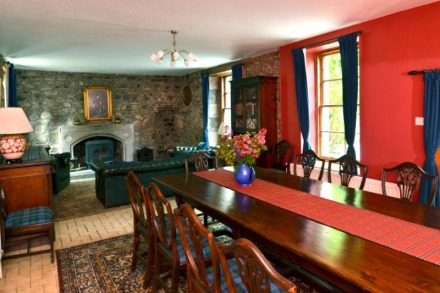 Today, Auchinroath House is a hugely impressive and manageable country house with flexible accommodation over three storeys. On the ground floor, there is a spacious reception hall with wood panelling and an attractive fireplace with an ornate carved surround. It is also home to four superb reception rooms including an elegant drawing room, a well lit morning room, a dual aspect sun room and a most notable dining hall. These rooms are well-positioned for the lovely family kitchen that is also on the ground floor. Moving upstairs, an open landing on the first floor leads to a further sitting room, once known as the love room', where courting couples would arrange to meet under the watchful gaze of an accompanying chaperone who would sit in a small adjoining turret room. There are four double bedrooms, two of which have en suite bathrooms and a separate shower room. On the second floor, there are three further bedrooms, including one with an en suite bathroom, two more bathrooms and a magnificent games room that could also be used as an additional bedroom or alternative use. The principal rooms have a wonderfully bright and airy atmosphere and a wealth of features one would expect in a country house of this period including tall ceilings with ornate cornicing and plaster work, attractive fireplaces, turret rooms and working timber shutters. The main house is also complemented by Fir Tree Cottage and Annexe, a lovely detached traditional cottage with an adjoining annexe. This impressive four bedroom cottage has previously been successfully let and is an ideal rental opportunity either for long term or holiday lets. Accessed separately but with an inter-connecting door is an annexe that can either be operated separately or used as additional accommodation. The annexe includes a breakfasting kitchen, sitting room with a wood burning stove, bathroom and bedroom. Rod Christie, partner in CKD Galbraith who is marketing the property, said: "Auchinroath is an exceptional house in a beautiful and very private position and within easy reach of Elgin, Speyside, and the airports at Aberdeen and Inverness. "Built in the Scots Baronial style, the house is imposing yet easily manageable and would suit family living as well as being put to a more commercial use if required. The current owner has improved the house considerably over the last 20 years and at one stage ran a successful holiday lets business. "There is also a charming four bedroom cottage, ideal for long term or holiday lets as well as a further stable with development potential. The property extends to about 70 acres and includes grazing land suitable for horses or ponies and a commercial conifer plantation. "Overall, I believe the property offers fantastic value for money and I would expect Auchinroath to generate interest from around the world." 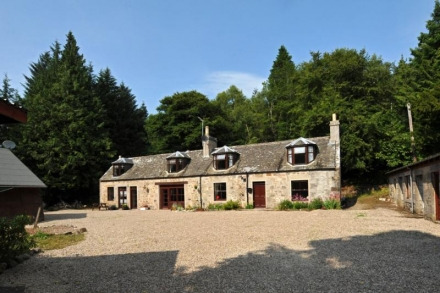 Auchinroath House is being marketed at offers over 1,100,000. Find out more about this property.